If you want to take advantage of most of Prezi features after upgrading your Prezi account then installing Prezi Desktop for Windows is something you can’t avoid to do. 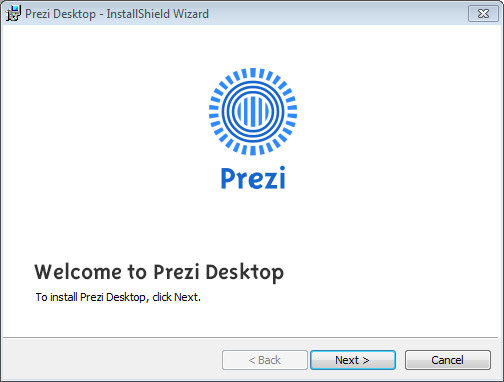 In this article we will follow the steps required to install Prezi Desktop for Windows. 1. Go to Prezi download website ( http://prezi.com/windows/ ) and click the download button. 3. Finally, click Finish button to finish the installation. 4. Now, go to Start menu and then look for Prezi Desktop. The new program should appear in your computer. Run it and now you’d need to login using your Prezi credentials. If you don’t have a Prezi account, you can create a free Prezi account online. If you already have a Prezi account, just enter the credentials (username and password). These credentials will be used to sign in to Prezi using the Prezi Desktop tool. 5. 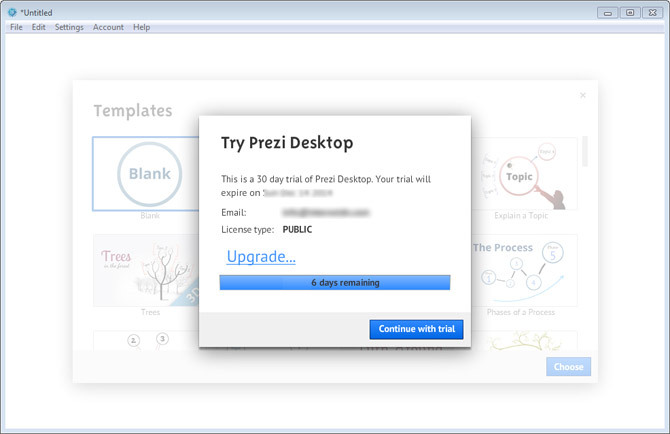 If it is the first time you use Prezi then a 30 days trial can be activated for free. Click Activate button and then in the next screen click Continue with trial button. 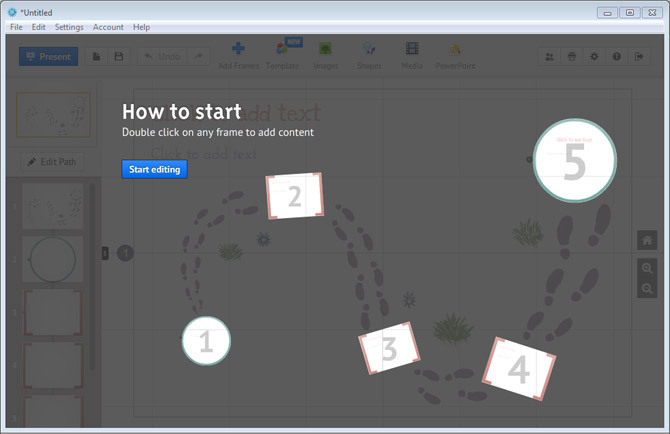 Lastly, the Prezi Desktop editor should appear guiding you how to get started. 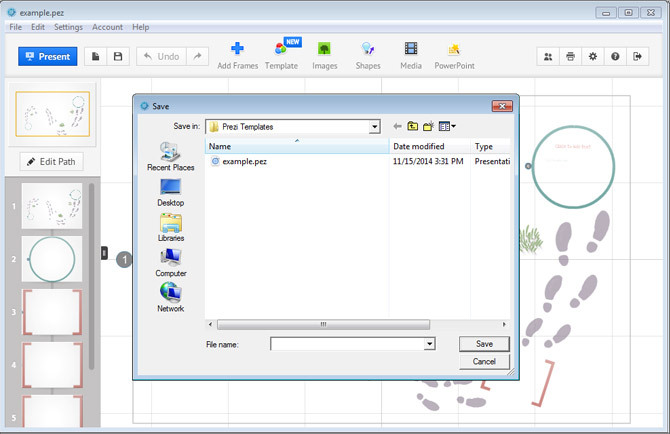 You can learn how to use the Prezi editor in Microsoft Windows. If you are already familiar with the ZUI then you can move forward very quickly or just click Start editing button to create your first presentation using Prezi Desktop for Windows. 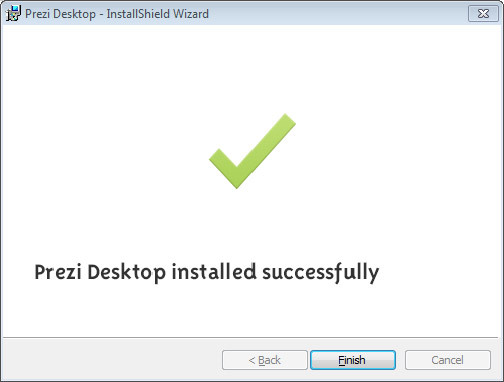 Installing Prezi Desktop is very easy. Just need to download the installer from Prezi website, then run the installer and follow the steps. 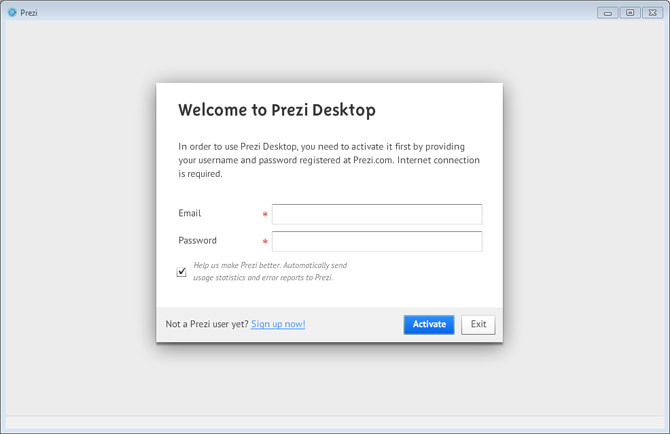 Finally, sign in to Prezi using the login window or create a new account. When you confirm, the editor will appear. Next time you run prezi you can be automatically signed so you don’t need to enter your credentials every time. By using the desktop version of Prezi you can create and edit your Prezi presentations offline or create Prezi templates that can be saved as .pez file format.